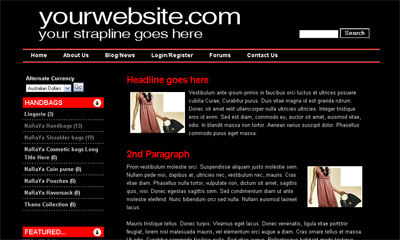 Our website template solution (puresilva) is updated often. If want read more about puresilva, here's the FAQ. 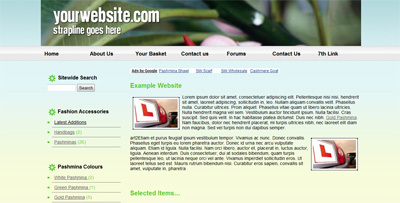 Click here for the full features list of the puresilva website template. new feature allowing you to edit multiple products via a spreadsheet (via backoffice > shop > edit multiple products > Want to edit multiple products via a spreadsheet? Further updates are being carried out for the mobile version and will be updated in the next week or so. new "bundle" feature for products - now you can sell bundles of products as a single product e.g. a hamper set of exising products. You can set individual quantities and price for each item in the bundle (e.g. put each item within a bundle at 10% off pricing). Bundles are different to upsell products in that bundles are sold strictly 'as is' (as a bundle). You can now hide individual categories from the category list (backoffice > shop > categories) via a new checkbox entitled "Hide Category from Category List?" backoffice > mailing list facility emails-per-day limits have been changed from 760 emails-per-day up to a much higher 2880 emails-per-day that can be sent out (equates to 86,400 emails per month) - up from 30 per hour to 120 per hour. Our service now easily competes with large, dedicated mailing services you'd normally expect to pay for - ours is included for FREE, and built into your site, so you can easily add products, vouchers codes, articles etc using tickboxes. Email campaigns no longer repeat if you leave them running - they run just once. This is because of the higher frequency of mails that can be sent out now (a typical subscription list of 2000 or so will complete in under 24 hours). It makes sense to send your mailing list NEW emails every few weeks anyway, and not the same, repeated message. now you can send an automatic email to all of your repeat customers notifying them of a discount you have put on. Just tick the "notify repeat customers of this discount?" option in backoffice > shop > discounts. Please note that this option only shows up once you've accumulated 10 or more repeat customers. This feature may be expanded to include more customers / a larger section of your mailing list - in a future update. each shop product can have up to 6 dedicated photos (up from 4). update to customer feedback area (backoffice > orders > manage feedback) - now you can respond to feedback with your own comments to individual comments made by customers. 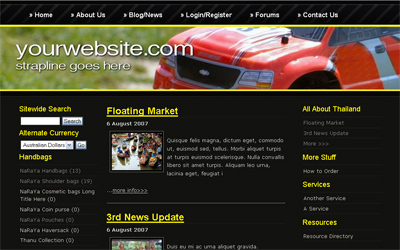 New 301 redirect facility for product detail pages. Sometimes products on your site become obsolete - they're out of stock, and that particular line of product has finished (you're no longer selling this item). Your initial first though might be to simply delete the product from your site. 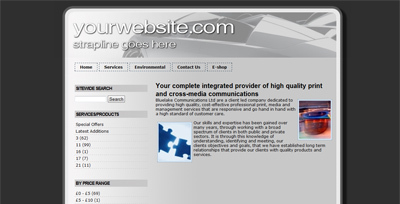 However, you might also find that the obsolete product's web page happens to rank well in the search engines. It seems like a waste of traffic to simple delete the product. On the other hand, what's the point of winning traffic to a product that's out of stock and will never be in stock again? Now with this new redirect facility, you can redirect traffic from such an obsolete page to another page on your site, such as a very similar product that IS in stock and for sale. Note: redirects can only be to internal pages on your website, not external pages on other sites. New multi-category feature for products - now you can add your products to unlimited categories - see a new option when you add/edit a product (backoffice > shop, add/edit a product) entitled "Additional categories (optional)"
You can create custom submenus, product category submenus that update automatically and can include product images, dynamic category submenus (see example image above) and blog entry submenus (which update automatically when you add a new blog entry). new sitewide search stats - found in backoffice > shop > user metrics (can be found toward right-hand side of sub-menu) > sitewide search stats - now you can see what keywords your visitors are entering when using your website's internal sitewide search facility. You can see all the keywords being entered, most popular keywords, number of keywords per day, in last 7 and 30 day period too. now the home page slideshow can display your blog posts/articles. The slideshow will only show articles which have an image included somewhere in the body of the blog post/article. You can switch your slideshow to show blog posts/articles in backoffice > variables > home page slideshow > select the "blog slideshow" option. Mailshots can now be automated in backoffice > mailings > mailshot templates. The new system sends out 5 mails per hour 24 hours a day (120 emails per day) automatically. You can pause a mailshot campaign at anytime. This is perfect if you have a general message you want to give your subscribers over each month (3600 mails sent out over a typical month) in "set and forget" fashion. There will be a provision for larger volume send-outs (10 to 15 per hour) in a future update. If you require mass bulk-mailing (10,000+) done in one single send-out, you can always export your mailing list to a 3rd party mailshot service. Please note that if you run a mailshot, you will get one receipt email per day (the same email that you are sending out) at 12PM GMT just as a reminder that you have an active mailshot that is on-going. 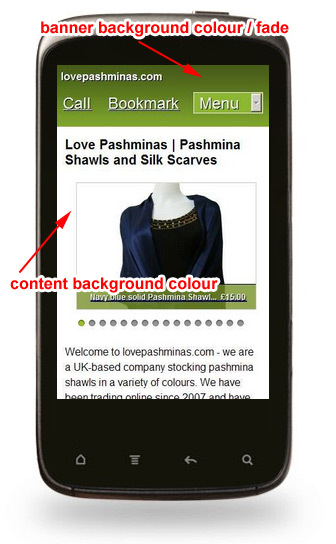 new pop-up image option for product thumbnails on home page and product listing pages (see this example screenshot below). 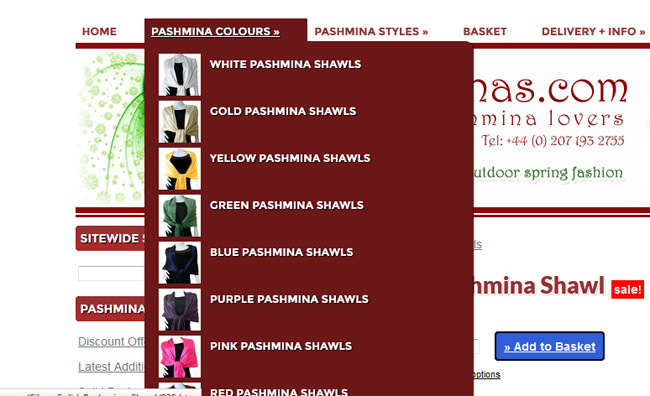 This can be activated in backoffice > variables > shop options > product layout options > Show List of Products on Home Page > Show as Grid (larger images + large popup image when mouseover) (for home page), and backoffice > variables > shop options > product layout options > Product Listings Page > Two column grid + large popup image when mouseover (for product listings pages). New "AddThis" share buttons that appear on left-hand side of screen on every page. If you don't like these, they can be deactivated in backoffice > variables > social networking options > share buttons, select "Show social network "share" buttons only on product and blog pages". 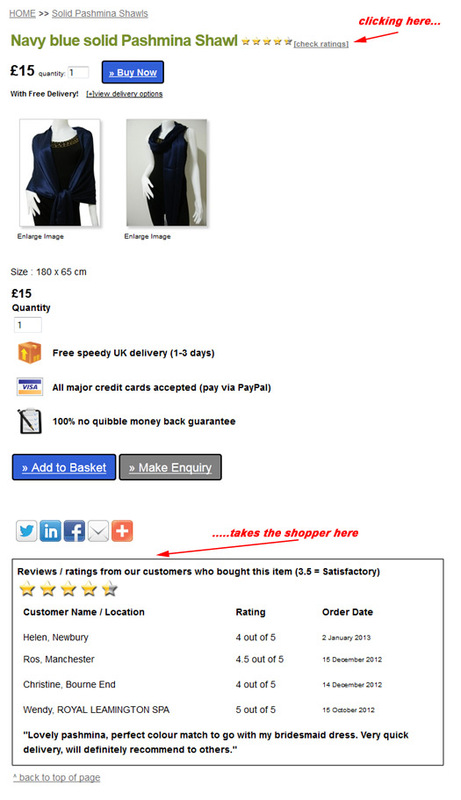 New feature allowing you to edit the shopper's 'thank you' page (this is the page the shopper is returned to after buying items from your site). You can edit the 'thank you' page in backoffice > variables > shop options > general shop settings > look for 'Thank You' Page Message. New saveable baskets for shoppers (an option that you can switch on in backoffice > variables > shop options > general shop settings > tick box next to "Saveable baskets"). Once this facility has been activated, shoppers can save their shopping basket by entering their email address. A link to their basket is sent via email - they can access this basket by simply clicking on the link to resume their shopping at any time (days, weeks, months later). Shoppers are warned that prices and stock availability are subject to change (e.g. if they add an item to the basket, then go back to the saved basket two weeks later, perhaps one of the items has gone up in price - this will be reflected in the basket itself, as it will always check latest prices and stock availability). New "Exceptions" option in backoffice > shop > shipping rules. When you edit one of your shipping rules, you can now state which (if any) products can NOT be bought when using certain shipping rules e.g. perhaps you have a very heavy item that you choose not to ship outside of the UK - that item can be selected against a shipping rule that was designated to addresses outside the UK. If that items is added to the basket, and the "Outside UK" rule that you created was selected by the shopper, they would be told that they cannot purchase the item as you do not ship it to their location. You can now add your own notes for each order if you want to e.g. address change, slight order change etc - see backoffice > orders > edit one of your orders, see "Order Notes" text area at bottom of order. update to home page slideshows - in backoffice > variables > home page slideshow > edit slideshow styling, you can now remove the border of the slideshow. This may or may not be useful for you depending on what you sell, and how important geography is to your marketing campaigns. The sales map might point out that you're selling to particular regions of the UK (or the world) more than others, and that might help with your marketing campaigns (perhaps you need to focus more on the regions not selling so well, OR focus even more on the regions you are selling well in). It can also help you with your keyword research too, for search engine optimization. Maybe you sell better in London because you're ranking well for particular keywords related to London, and you want to replicate that success in other regions. Furthermore, you could see the results of regional marketing campaigns by limiting the geographic data to the period of time a particular localised marketing campaign was occurring to see the results of it. Again though - it depends on what you sell, or what kind of service you provide (as to how useful this data is for you). It uses Google Maps API v3. The pins load a little slowly simply because the Google Maps API has a "speed limit" on how often we can use their service to geo-decode each address into latitude and longitude values. 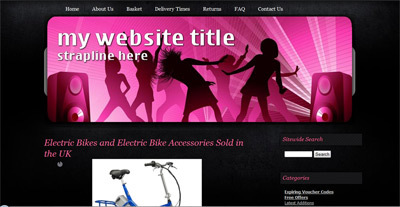 The product description footer facility allows you to append such information easily across all (or a range) of your products quickly in one go, rather than have to update each and every product description. You can even choose to append it automatically to future products you add. 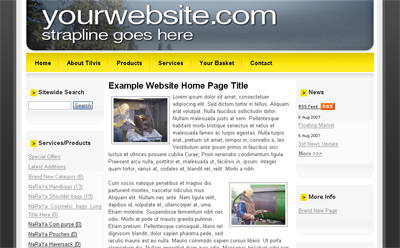 You can also REMOVE the footer easily just by deleting the text in the "Product Description Footer" box. This facility is really useful because the product description itself is a vital selling point to a product, and perhaps you need to really highlight some information here that's generic across a number of your products. For those selling items, a new feature allows you to show full delivery options on the product detail page itself, so the shopper doesn't need to add an item to the basket to see your delivery options. 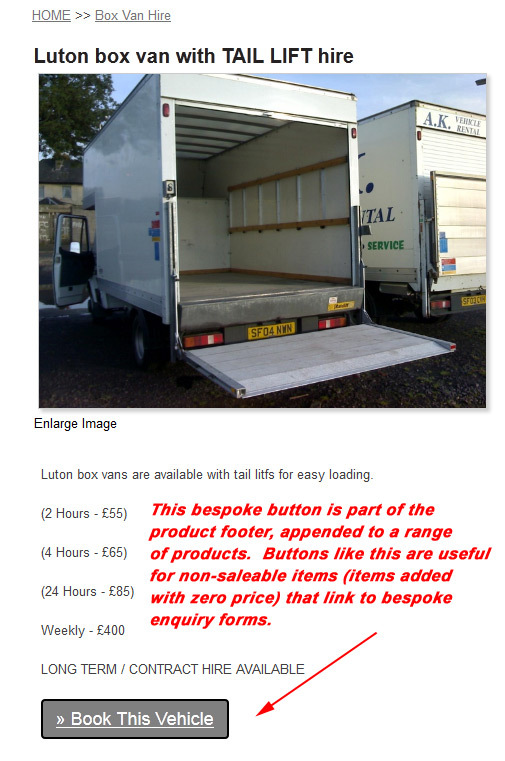 This feature is OFF by default but can be switched on in backoffice > variables > shop options > general shop settings > tick box next to "Show delivery costs on product detail page". One exception to this feature being activated is if all of your shipping rules are weight-based. In that case, this feature cannot be activated as the shipping cost for any particular item may vary depending on the total weight of the basket. Another new feature that is automatically activated on your site is that shoppers are alerted on each and every product detail page if you have a free delivery option available - a great selling point. New "Homepage Slideshow" area of backoffice (backoffice > variables > homepage slideshow) - now you can choose what kind of image slideshow you want on the home page in one single place. New custom slideshow (backoffice > variables > homepage slideshow (toward bottom of page) > add/edit custom slides - allows you to create custom slides for the slideshow in a very easy way. The new custom slideshow is also HTML-based (not Flash) so will display fine on the iPhone and iPad (product / photo gallery slideshows will also be non-Flash in next update). New customisable Buy Now / Add to Basket buttons - you can change background colour / text colour of these buttons to suit your colour scheme or simply make them stand out more (these buttons can be customised in backoffice > variables > shop options > general shop settings, scroll down toward "update" button). update to the mailing list facility (backoffice > mailings, and the mailing facility needs to be activated in backoffice > variables > add/remove facilities first of all) - a new feature allows you to incentivise sign-ups to your mailing list via the disclosure of a voucher code to those that signup. So someone signs up, then they're emailed a voucher code that they can use in X days (1 to 7 days) for 1 time only. You can set exactly what kind of basket discount that voucher code will give them, and the number of days it's valid for (1 to 7 days). 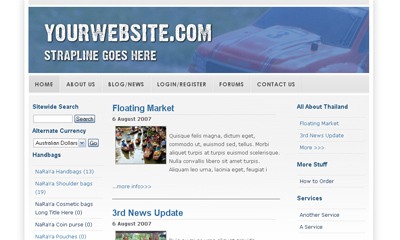 The microblog features on all your pages, right at the top of each page, so visitors cannot fail to see it. Therefore, it's ideal if you want to grab their attention for a particular deal you have on, or perhaps to show them you have new items in stock, or any company news you have, or maybe you just want to share your opinion on something with your visitors. 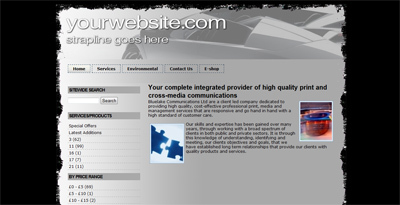 It's also good in that it shows your site is "live" and being updated regularly. This facility - like all new facilities - is switched off by default, and you will need to enable it if you want to use it. One further addition to the slideshow is a fix to get around browser caching - the slideshow automatically refreshes through dynamic XML file renaming - so no more need to clear your browser's cache to see updates to the slideshow. if for whatever reason an order can't be fulfilled, there's a new "revert stock levels" option for each order allowing stock levels to be reverted back to what they were (as if the order hadn't occurred). This option is also there for other payment methods like PayPal / WorldPay (etc) if an order is cancelled / refunded (you can then revert stock levels back to what they were as if the order hadn't occurred). manually added orders: you can now add variations of products as part of the order you add. in backoffice > shop > stock levels & prices, you can update multiple product stock levels much faster now, as well as search for products in this area too. Updates to best sellers (backoffice > best sellers, button on home page of backoffice). Now you can search by date to see what's sold the most over a given period. You can also check to see how quickly it's sold too (1 item sold per X days), how much is currently in stock, and the predicted date it will go out of stock given it's rate of sales (if stock control is activated for the product). stock levels displayed automatically in backoffice > shop to show you quickly the levels of stock of particular items without the need to edit them to see the level. updates to basket abandonment facility (backoffice > shop > product/basket stats > view basket / checkout stats > most frequently visiting IP addresses) - now you can see the most frequently visiting IP addresses and also links to identify where these IP addresses are (sometimes you can glean company information from an IP address). The voucher code can only be used on that very first visit - when the visitor returns on a new session to your site, the voucher code is not visible, NOR can it be used. The point of this type of voucher code is to compel the visitor into using the voucher code right now as it's their only opportunity to do so. You can set such a voucher code in backoffice > shop > vouchers (tick box next to "Single Visit Voucher?"). To discontinue the offer, simply delete the voucher code in backoffice > shop > vouchers. You can preview this new design via backoffice > design, then select from "Design Templates" dropdown menu, select the "Folded Label " design and then click "Preview Design >>>"). You can preview this new design via backoffice > design, then select from "Design Templates" dropdown menu, select the "Curved Label " design and then click "Preview Design >>>"). You can preview this new design via backoffice > design, then select from "Design Templates" dropdown menu, select the "Fancy Label " design and then click "Preview Design >>>"). You can preview this new design via backoffice > design, then select from "Design Templates" dropdown menu, select the "Club" design and then click "Preview Design >>>"). Default has a pink theme but you can change theme colours in backoffice > design > design files > edit the CSS file. New banner slideshow service (example) - provides a new way to display your banner area using multiple non-Flash slides. New field for products called "Search Tags" (you will see this whenever you add / edit a product). Allows you and your visitors to use keywords that may not be visible in the product description (or title), yet still find your products. This helps you with finding products when you search in backoffice > shop, OR in backoffice > orders if you are searching by a product code for example. 2nd part to the discount facility - now you can rotate discounts on the home page automatically. This is good if you want to sell items with a very short deadline (a few hours), and when that offer deadline expires, a new products is put in its place with its own deadline. You can rotate unlimited offers and set their offer expiry time in hours (as little as 5 minutes, as much as 48 hours, per offer). You can try this new facility out in backoffice > shop > discounts, then add or edit a discount. This is part one of a two part update - the next update will allow you to rotate offers on the home page so you could add different offers to the home page without manually changing them e.g. set 7 offers for the next 7 days (that will rotate automatically without you having to do anything), or for example, 20 offers that rotate every 6 hours (you can set the time period too per change of offer). Another update will be to include serial offers on the home page too (so you could display a number of offers on the home page concurrently). A number of updates to Google Products feed to take into account Google's new Google Products requirements that will be enforced from 22nd September 2011 (you don't need to do anything here, these updates are automatically patched to your Google Products feed). New landing page stats (backoffice > SE Referals [near barchart on home page of backoffice] > landing pages) - shows you the most popular landing pages from search engines and what keywords were used by searchers to find those pages on your site. Data started recording since this facility went live (16th August) so be aware that there won't be much data from launch date - but check back to this facility as landing page stats build up. Updates to blog - useful if you want to use your site as a dedicated blog; updates allow you to show full blog entries on your home page, and up to 30 entries too (while removing other details of the home page, just to show blog entries). Updates can be tried out in backoffice > variables > add/remove facilities > tick "Show full blog entries on home page instead of snippets?" A big update to the footer editor - backoffice > variables > Edit Footer (previously "Footer Text") - you can now have full control over the footer area, and even arrange it in up to 4 columns, like the example image below. If you've already put in some custom footer text, this will appear below the columns. You can choose icons, titles and text for each column. Further updates to suggestions centre :- suggestions on mailshots and Google Products submissions. New "suggestions centre" (see link at top-right of backoffice) - an analysis of your site's content and suggestions that may improve your site's conversion rates / search engine rankings. Now you can list sub-categories directly under your category list (see image below). This is only applicable if you have a total of 50 sub-categories or less (across all your categories) - the reason for the limit is to do with search engine optimization and link equity. Too many links on any given page will dilute the power of each individual link (particularly important on home page). You can try this facility out in backoffice > variables > shop options > general shop settings > Show Sub-Categories Under Categories in Navigation. You can choose which fields are to be included in the search by going to backoffice > shop > product features, and clicking on "edit" next to the field you want to include and simply ticking the box that states "Include In Search?". Of course, if you don't want this search facility at all, then you simply wouldn't select any fields to be included and so the search facility is disabled. Video help will follow this update very shortly. Update to "monthly sales" page - shows comparison to previous month in terms of percentage change (up or down) - and this month's sales are pro rata'd too so you can see if this current month compares to the last even if you're only a week or 2 into the current month. New "Edit Multiple Products" facility (backoffice > shop > "Edit Multiple Products" button) - useful if you want to edit a number of products quickly and all the products require the same update e.g. hide 20 products in one click, or add a particular upsell product to your entire range of products. There's a lot of possible uses with this new facility and it should save you a lot of time too. Use with caution as it updates your chosen multiple products information in one go. As you can see, it compares similar items to the product they are viewing - if another product has at least one feature that's the same (not incl. price) then it's matched and shown. 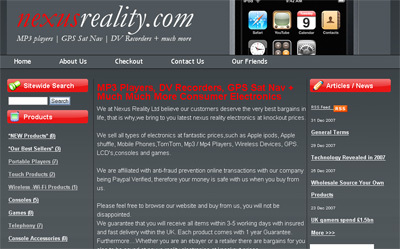 The shopper can expand the comparison to view more products. This is a quick way for the shopper to compare similar products in your range. This means if you sell audio files (ebooks, music) it allows shoppers to quickly preview dozens of products without leaving the page. 2. filter their product searches based on features. 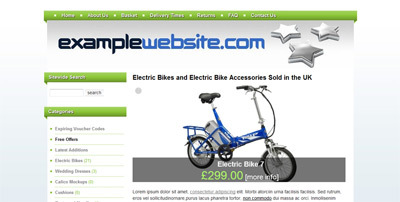 An example of what you could do with this - let's say you sell electric bikes. You could for example create the following features:- top speed, battery charge time, battery life, wheel size. 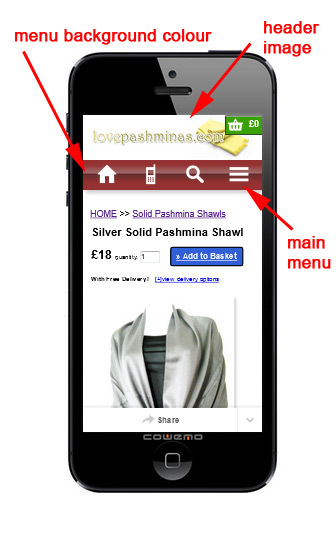 Then shoppers could search based on those criteria, and also compare your products (side-by-side on that criteria). This new facility allows you to create any feature you like, and also unlimited features. You can then add (quickly and easily) values to each of your products that correspond to each feature. Let's say I set up the following features in product features: Top Speed, Battery Life, Battery Charge Time, Wheel Size. Then I can go to backoffice > shop > product features > assign values to products and put in values that correspond to those features e.g. a product called Bike ABC - I set Top Speed at 20Kmh, Battery Life at 6 Hours, Battery Charge at 4 Hours. The "assign values to products" page makes it easy to quickly add values to all your products. Further updates will come next regarding front-end shopper facilities that are connected to product features. Some tweaks that makes the checkout process faster/smoother for PayPal, Nochex, SagePay and WorldPay payments. Added editable H1 Title field to "More Info" pages (found in backoffice > pages) - here's a help page about this if you're not sure what H1 tags are, and why editable H1 tags can be useful! This field becomes available when you edit (not add) a "More Info" page. Allows you to EASILY add youtube.com videos to your general pages (backoffice > pages), product and blog descriptions - all videos automatically resized to fit your pages, and no embed HTML code necessary (this is automatically created for you) - just enter the URL of the video e.g. http://www.youtube.com/watch?v=QtFPdBUl7XQ - that's it. SEO and cosmetic updates to the forum section (which can be activated in backoffice > variables > add/remove facilities if you haven't tried the forum out yet). You set a maximum quantity, and a corresponding percentage off for that maximum quantity. In the above example, it's 25 (maximum meaning 25 or more) and it calculates a sliding scale of discounts between that maximum quantity and a single item purchase. You can activate this Bulk Discounts feature in backoffice > variables > shop options > general shop settings > Activate Bulk Discounts. Once you've done that, you can then add/edit a product and set its bulk discount settings. You need to do this on a per-product basis. Bulk discount orders that come through are labelled as such so you'll know exactly how much an order has been discounted by (saves confusion when you see total prices of bulk discount orders!). Added Seasonal Trends in backoffice >Seasonal Trends (link found on home page of backoffice under "General Statistics") - shows you top 15 best sellers for each calendar month so might find some selling trends - also an easy export-to-priority list feature which means you could - for example - create a priority list (slideshow etc) based on February's top-15 best selling products (if you have sales history of course) - a good way to show-case best selling products in time for the up-and-coming months. Added H1 Title field to product categories - here's a help page about this if you're not sure what H1 tags are, and why editable H1 tags can be useful! new robots.txt editor facility here (backoffice > Spiders, just above visitor bar chart as you login) - allows you to filter traffic if necessary (like if you get a traffic spike from a particular service sending lots of IP addresses to your site). You can also see how frequently Google visit your site and other search engine spider visits too. 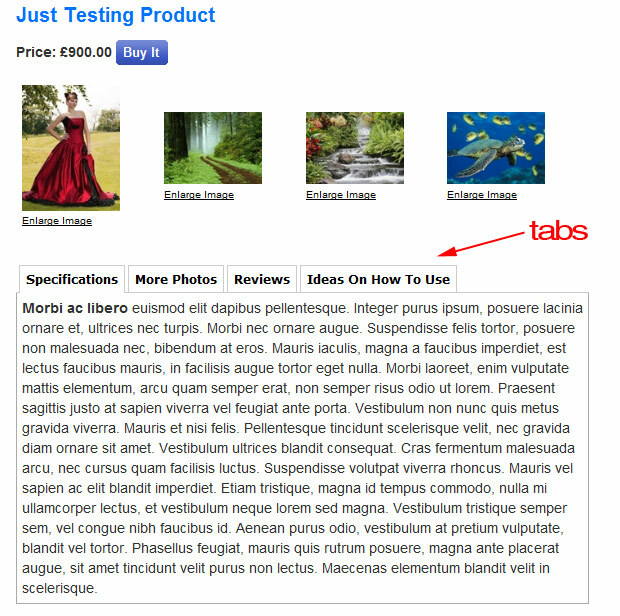 New tabs facility for product descriptions - see more info here - allows you to create a tabs layout for your product descriptions. New Search Engine Friendly version of the photo gallery - more details here. The photo gallery can be activated in backoffice > variables > add/remove facilities). After activation, you can administer your photo gallery in backoffice > photo gallery. 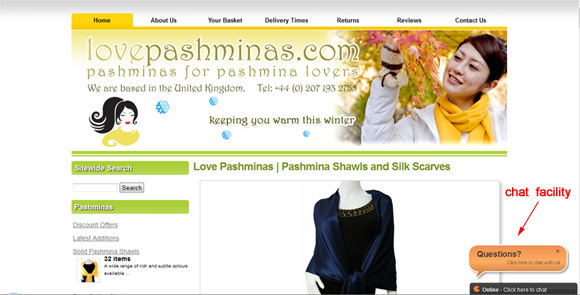 You can now set the default email address for lovepashminas.com in backoffice > variables > contact details (i.e. 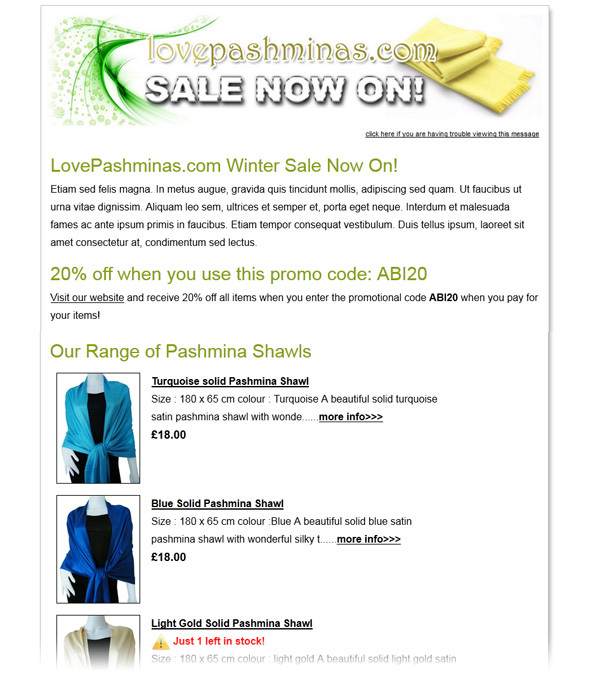 all emails generated from the website - orders, enquiries etc). new "in-stock priority listing" - in backoffice > variables > shop options > stock control - order products by most in stock descending to least in stock (in product listings). This ensures your in-stock items are always at the top of your product listings (this ordering over-rides any other ordering you set). Very very useful if you have a range of products that goes out of stock quickly, and want to showcase the in-stock items higher up (it's not wise to completely hide out-of-stock items for search engine optimization reasons - always keep those products online if they're coming back in stock soon!). new "stock watchers" facility (backoffice > shop > stock watchers). In regards to your out-of-stock products, this facility shows exactly who is waiting for them to come back in stock (and which products they are waiting for). They will automatically be emailed when the product they're watching comes back in stock (a facility launched a while back). However, with this new facility, you can email all (or selected) "stock watchers" with your own message if you have something specific to tell them e.g. ("it'll be back in stock in just 2 days - you'll be notified then"). 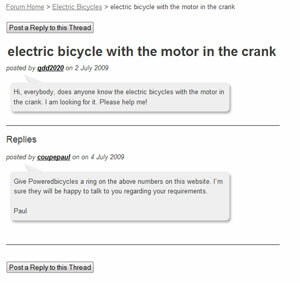 Update to blog section; now when you post a new blog entry, it's automatically submitted to a random selection of social networks including Jumptags.com, Brightkite.com, and Tumblr.com, for the purpose of speedy indexing - more details here. 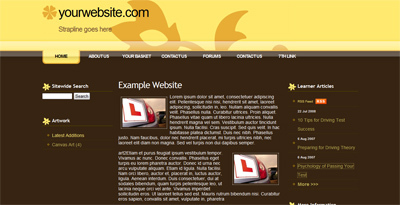 Footer text now has no size limit so you can add footer links etc. Switched the currency conversion system to lookup coinmill.com (RSS feed for latest conversion rates) as currencysource.com (previous conversion rate provider) recently went offline! Sub-category and sub-sub-categories can now be listed with images next to each link (see example here) - you can switch this feature on here: backoffice > variables > shop options > general shop settings > Thumbnail Image Size for Sub-Category and Sub-Category Listings (set thumbnail image width to 50 pixels or more). You then need to select each image for each sub-cat / sub-sub-cat by editing each respective category in backoffice > shop > categories and selecting an image. You can set image sizes at 50, 75, 100, or 125 pixels in width. Updates to the keyword stats area of the backoffice (backoffice > keyword stats [just above bar chart]). Now you can see the what the corresponding landing page is for all the keywords that you are getting many click-throughs for, while also telling you if your listing in Google is an organic listing or a Google Products one. Keywords are also sorted by derived order (descending) to make it easier to see which keywords you should be targeting for your link building purposes. a new feature (backoffice > shop > product/basket stats) to show you how shoppers on your site behaved, and how far they progressed through the checkout process. This will give you a good idea of what shoppers added to the basket, and where some shoppers abandoned their basket. If people progress to the checkout stage (i.e. they click through to a payment gateway like PayPal) and still abandon, it's probably NOT due to the above reasons - it may be the fact that they are simply at the point of decision and decide something like "no, I can't afford this purchase" or something that may be completely outside of your control. However, if you have a lot of basket abandoments that DON'T go to at least the checkout stage, consider your shipping costs and payment methods, as well as using the basket message facility (backoffice > variables > shop options > general shop settings) to put in some reassurances like money-back guarantees, expected delivery times etc. new wholesale feature (backoffice > variables > shop options > wholesale options). Allows you to specify individual products to be "wholesale"; these products have their prices hidden - only logged in (and approved) members can view the prices and buy these items. You can still regular products alongside wholesale products. Updated Search Engine Keyword Stats page (in backoffice) - allows you to get the ranking of each of the most popular keywords used in search engines to find your site. A "keyword value" score is then calculated based on : number of click throughs * ranking position. This is useful because it can highlight keywords that are performing well but may be ranking quite low e.g. a keyword ranked 8 in Google but happens to be your most popular keyword. Other less popular keywords may be getting you traffic because you're no.1 for those keywords. All well and good, but that no. 8 ranked keyword is where the big volume of searches are made. That would be a great keyword to work on to improve its ranking (via link building). There will be further updates to this facility including "sort by keyword value score". 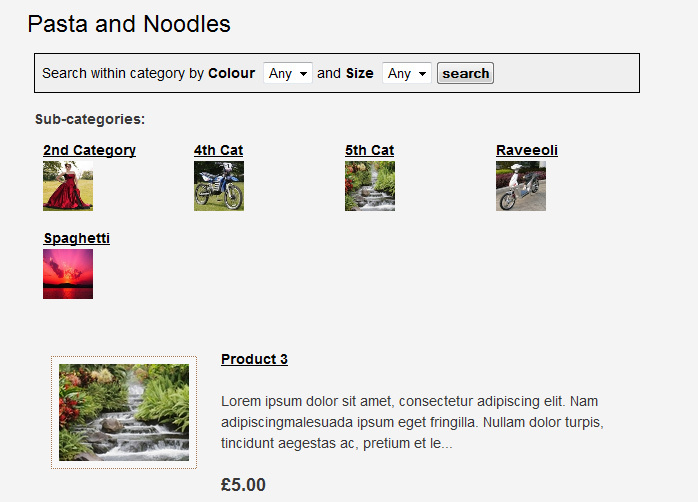 Added new variation filter within categories for your website visitors. This means that when they browse one of your categories, they can refine their search by your product variations. See example image below for an illustration of how it can work. The variations in the dropdown menus apply ONLY to the category (or sub-cat, or sub-sub-cat) the visitor is in. 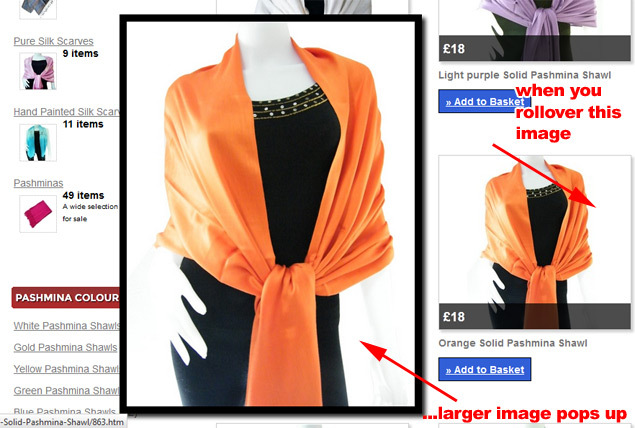 This is good if your various categories have different types of sizes/colours/whatever. For example, in one category you might sell t-shirts which come in small, medium and large. In another category you might sell dresses which come in sizes of 6, 8, 10, 12, 14 and 16. Only the appropriate sizes would be displayed depending on what category the visitor was in. This works in categories, sub-categories and sub-sub-categories. This can be activated in backoffice > variables > shop options > product variations > tick the box next to "Allow website visitors to search your product range by these variations? " Updated the "buy it" button on product detail pages - this now directly adds to basket if there's no more options required for the shopper to select (e.g. not need to select size / colour), with quantity box next to it - quick way to buy. 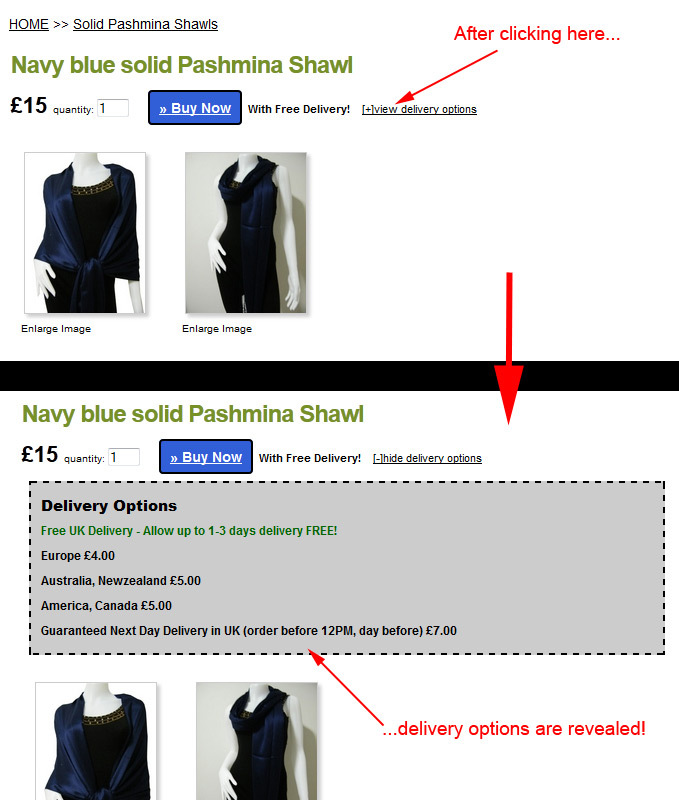 All the normal buying options remain unchanged below the product description (for the more discerning shoppers!). Now you can sort the order of product listings within individual categories, sub-categories and sub-sub-categories in a very specific way now. You can do this in backoffice > shop > categories > (select main categories, sub-categories or sub-sub-categories), then click on "edit product order" next to the category that you want to change the order of product listings for. New "add multiple links" facility (backoffice > links > add multiple links) - allows you to quickly add multiple links to your resource directory (if you've activated it). It has a .edu and .gov filter too so you can quickly find these types of sites to link to. More information here in this article - to summarise, it's generally a good practise to link out to trusted sites such as (but of course, not exclusively) .gov and .edu IF you feel they are relevant and useful for your visitors (key point). It's also good practise to link out to established blogs, forums etc that are not .edu and .gov as well. Trusted sites are the key thing. New sales bulletpoints feature (backoffice > variables > shop options > sales bulletpoints) - allows you to place succinct sales bulletpoint messages just above the "Add to Basket" button on your product detail pages (with some nice icons you can choose from) - will help with conversion rates as many land directly on your product detail pages from search engines and may miss some pertinent information about your shop (e.g. 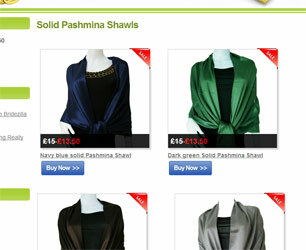 free shipping) - sales bulletpoints are ideal in that case to highlight your fundamental offers (e.g. free shipping, money back guarantee etc) right at the critical decision point for shoppers. Now voucher codes (backoffice > shop > vouchers) can have a limited number of uses assigned to each one. This opens up a lot of possibilities. You could for example issue a credit note to a particular shopper by way of a one-time-only-use voucher code. You can set the number of times a voucher code can be used (e.g. 3 times). Another new feature with voucher codes: for both limited use voucher codes and time-limited voucher codes, these both now have the option to be publicly displayed on a special "Expiring Voucher Codes" page - giving your visitors more incentive to buy with these about-to- expire voucher codes (either they are about to expire because of a time deadline you've set, or because you've set them to be used only a small number of times - first come first served in that case). You must tick a box saying "Make this voucher public" for these to be displayed. new SEO Stats area detailing how many pages of your site have been included in Google, Bing and Yahoo!, your Alexa and Page Rank - located in backoffice > above visitor bar chart on home page of backoffice. 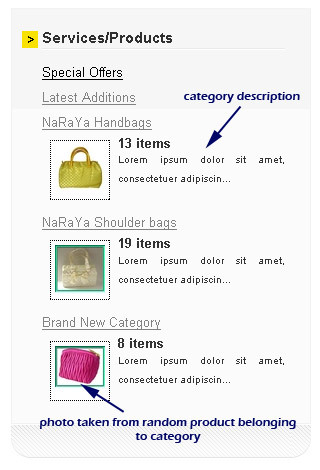 you can now add descriptions to sub- categories of your product range (backoffice > shop > categories > sub-categories). rel=canonical used on product detail pages and blog pages. This consolidates all the various ways of URL rewriting into one single URL for each page and so avoids any duplicate content issues. Also the template has undergone a full code audit and various minor bugs have been fixed. 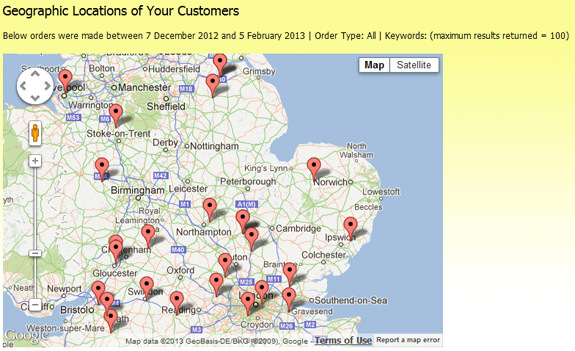 eBay Synchronise Service - Do you have an eBay shop? Import your eBay products to your website - everything updated hourly. New "unlink" option in the WYSIYWG editor. Added new incentives facility - allows you to offer free gifts to shoppers if they shop over a certain amount e.g. free gift if you spend £25 or more, another type of free gift if you shop £50 or more etc. Very easy to set-up and also easy for end-shopper to make selection. Entirely optional if you want to use it! Can be found in backoffice > shop > incentives. 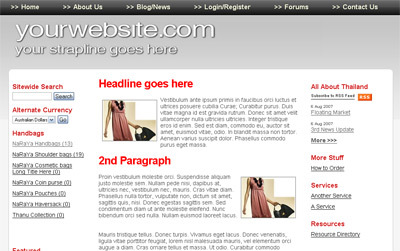 Added the WYSIWYG editor to both the blog section and add/edit product pages. Greatly simplified the page editing facilities in Backoffice > Pages; now it's much simpler to add links, images and files to your pages - the page editor is now a much slimmed down version of what was before, without losing any features. New "footer popup" window (see example) - you can activate this in Backoffice > Mailings (it's switched off by default) if you want to more pro-actively build your mailing list. It's a lot more discrete than a regular (annoying) popup window, but quite noticeable as it "sticks" to the bottom of the page. It can easily be closed by visitors and NEVER appears again if someone closes it or signs up to your mailing list. New mailshot facility : allows you to send templated emails (which you can make with the email template builder) to your mailing list via the backoffice. Your mailing list comprises of all those who've subscribed to your mailing list directly, made enquiries (and opted into your mailing list, and your customers. 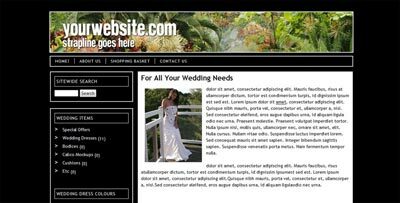 You can create unlimited email templates too and easily add products and voucher codes to each template if you wish to do so. Where to find it : backoffice > mailings > click "Free native mailing service"; ensure you've activated subscriber list in backoffice > variables > add/remove facilities first! Added front-end stock level warnings for shoppers - you can activate this in backoffice > variables > shop options > stock level options (near foot of page). You can set the stock level quantity that triggers this warning (e.g. 3 items or less) - shoppers actually see how many items are left - good to get rid of clearance items quicker. Added "New" and "Sale" images next to each product title if applicable. "New" appears next to products you've added in the last few weeks (doesn't work retrospectively for copied products but will work for future copied products). "Sale" appears next to items that are discounted. Now it's possible to easily re-colour each image of your website's design in the design files area (in the Replace / Re-colour Existing Image Files section). 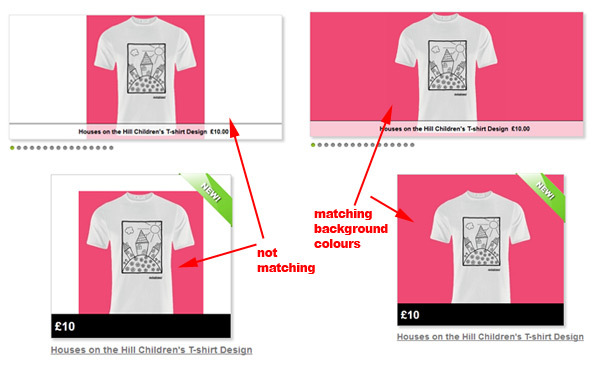 This means you have now hundreds of thousands of colour combinations for your website's design at your disposal using an easy-to-use colour picker (like the image to the left) - re-colour menu background images, headings, in fact any image that's used in the design template you're using for your website. For those selling items, we've added a new payment processor to the template - eWay. Transaction fees/costs can be found here. They appear to be very good value, and certainly we've found them to be a very responsive and helpful company when we worked on the underlying integration of eWay to the template. After you get an eWay account (which requires an Internet Merchant Account), you can easily integrate your eWay account to your website in the taking payments section of the backoffice (backoffice > variables > taking payments). New facility allowing you to link to pages in the "More Info" sections rather than actually have to add a page (backoffice > pages > add URL instead of page). 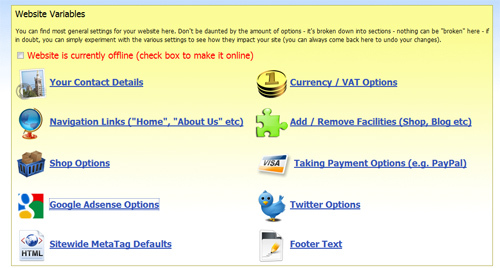 Example - you add a "More Info" section called "Favourite Websites" then add links (not pages) to external websites. Or add a "More Info" section called "Surveys" and directly link to a number of enquury forms you've developed on your site itself. Files Manager - This area is a useful repository if you want to link to particular files on your website. You can find all the files you've uploaded across your various pages here, as well as upload extra files. This area is particularly useful if you want to add custom slides in the slideshow or use the same file on more than one page (by copy/pasting the file location below). Added "Replace Image Files" facility in the esign Files area of the backoffice. 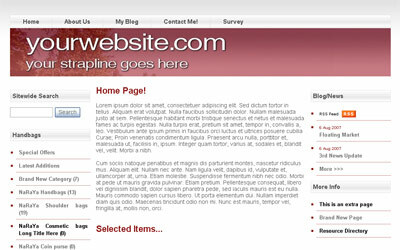 This allows you to upload your own custom images to replace the images used in the design of your site. Just like the CSS Editor, you can reset back to the original files if things don't work out! The range of facilities now present in the Design Files area can now give you the scope to actually create your very own design templates (however some knowledge of HTML/CSS is essential here). Having said that, we will keep producing our own new templates for your use as always to add to the library of existing designs, so it's still easy to redesign your site without any HTML/CSS knowledge if you choose not to customise each template to the degree mentioned above! Introduced new subscription-type services. This allows you to sell a service and get paid on a recurring basis for that service you sell. For example, let's say you have a telephone tech support service or perhaps you allow a room you own to be rented out weekly for meetings etc. Those kinds of things can now be sold on your site and the buyer would pay you on a daily, weekly, monthly or yearly basis automatically via PayPal (you would get paid automatically without having to re-invoice the customer). You can set the frequency and number of times for this type of subscription payment (e.g. monthly payments, lastings just 12 months, or indefinitely on a weekly basis). Firstly you must activate this service in backoffice > variables > shop options - look for "Allow subscription payment-type services". After ticking the box to activate subscription-type services, you will see new options appear when you add or edit a product allowing you to set the frequency and amount of payments required for that service you've added. You can of course still have regular products you can sell with the single one-off payment! This new service is entirely optional and you can create as many or as few subscription-type products (likely a service you provide) as you like. 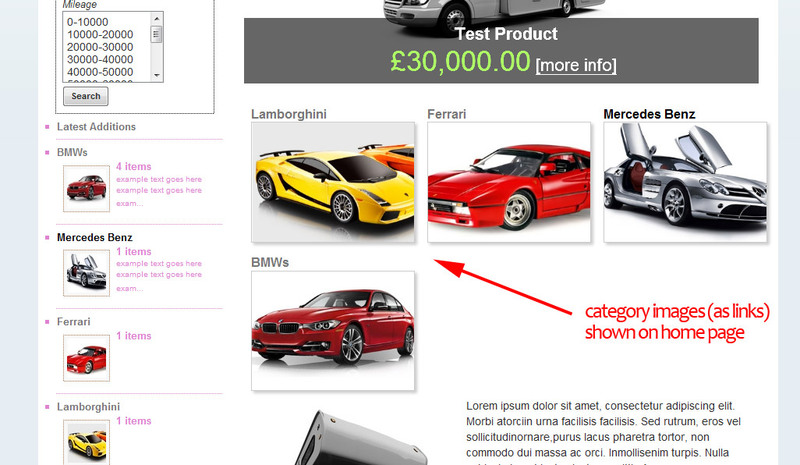 Now you can add your own HTML title / META description to categories - backoffice > shop > categories. If you don't, then as always it just populates these with the category name (HTML Title) and category description (META description). 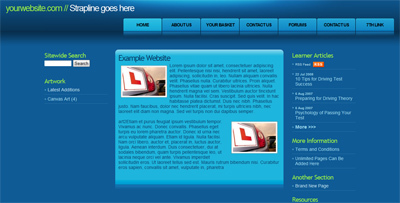 Much improved embeded products slideshow with many more transition effects. You can try this feature out by activating it here: backoffice > variables > shop options - tick the box next to "Embed Products Slideshow on Home Page" (if it isn't already ticked) and visit your home page. A new FAQ facility allowing you to add FAQ (Frequently Asked Questions) pages to your website. You can find this facility in backoffice > pages > add/edit FAQs. See an FAQ created by this facility here. You can add multiple FAQs to your site if you need. You can link to them in the usual way via a dropdown menu. For example, in backoffice > variables > navigation, you'd find your FAQs in the "links to which page?" dropdown menu. If you want to link to the FAQ via a normal text link in a paragraph of text, you'd edit that particular page in backoffice > pages, then select some text you want to be the link (in the body of the page), and then select the FAQ from the Page Links menu. create a banner in puresilvabannermaker.com FREE and unbranded (saving $US8), and have it automatically added as your website banner (right size too, no matter what puresilva template you use!). new keyword suggestion tool - allows you to find new keyword for you to target in link building campaigns / make sure appear on your site. Link to keyword suggestion tool can be found just above visitor barchart on home page of backoffice. new facility in the orders area to allow you to add shipping tracking codes / shipping company information so your customers can track the order directly with the shipping company. These fields appear when you edit an order, and then tick the box "Alert Customer of Status Change by Automated Email?" - the tracking information you enter will be sent in the "change status" email that the customer receives. 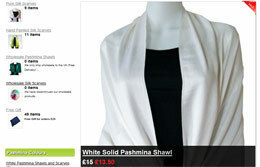 new option for product description display - a "lightbox" feature for lengthy product descriptions. If your product description is 800 characters or longer, it is now possible to truncate it with a "[more info]" link taking the visitor to a lightbox popup which shows the entire description. This is useful because it raises all those important features BELOW the description (add to basket, upsell products, related products) much higher up the page and compacts the overall product detail page into a much more digestable format. This feature can be switched on in backoffice > variables > shop options > Show Full Product Description in Lightbox (NOT on page). New facility allowing visitors to publish advertisements on your website (this facility is switched off by default). They can publish their text advert on your website; they then pay you via PayPal, you are notified by email of the new advert - and finally you login to the backoffice to activate/show on site their advert. You decide how much each advertiser pays you on a monthly basis (e.g. 10 per month per advertiser). 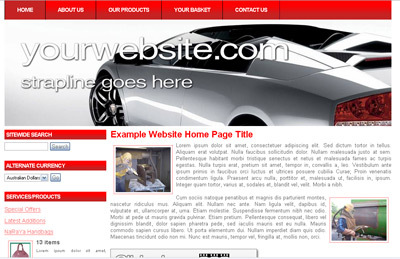 You can access this facility in backoffice > variables > Advertisments on Your Site. More information can be found here . 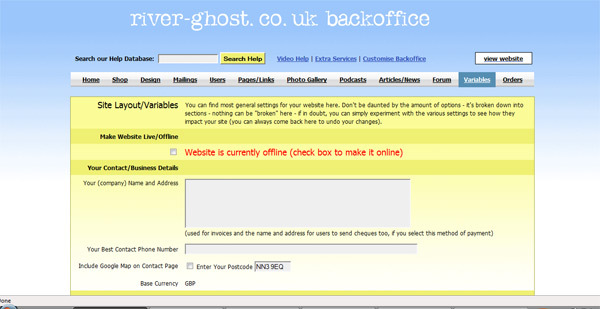 Ability to add text to the basket page in backoffice > variables > shop options ("Basket Message") e.g. you may want to alert shoppers that all items are sent by recorded delivery - that kind of message, or perhaps highlight that you offer free shipping (if you do). update to Twitter options - now you can show your latest Twitter messages in the sidebar of your website with a link also to your Twitter page, directly under your news/articles (news/articles must be activated to show Twitter messages). 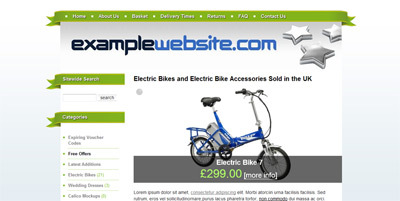 A 2nd products slideshow that can be embeded onto the home page - see this example. You can embed your slideshow by going to backoffice > variables > shop options > tick box next to "Embed Products Slideshow on Home Page". 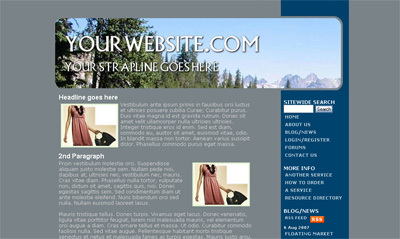 The slideshow uses the priority list to determine what products are shown on the slideshow and in what order. 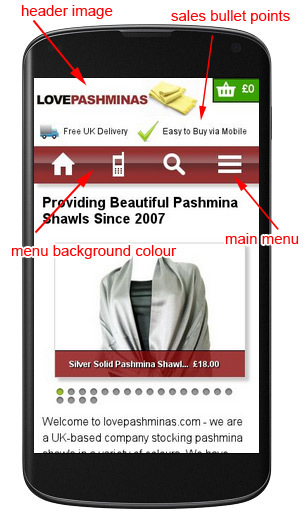 New option allowing your shoppers to give special requirements for products. This is basically a text box that will appear in the product detail page (if activated). It's useful if you are selling a product that may require a special message - like on a ceramic dish, or even birthday cake. Or perhaps special instructions about the configuration of a product. You can show this text box on selected products (where it's appropriate). This facility can be activated in backoffice > variables > shop options > Allow "Special Requirements" box. Then when you add/edit a product you will see a new option appear - a tickbox with "Show "Special Requirements" Box" next to it. New affiliate selling facility allowing you to sell other people's products on your site and make commissions if they click through from your site to the selling site and a sale results. You need to activate this facility first in backoffice > variables > shop options > allow affiliate products (tick the box). Once activated, whenever you add or edit a product you will see a new field called "Affiliate Link" (below Product Name). Put in the full affiliate link that this product needs to link to (incl. your affiliate code in the URL of course!). That's it. You can add as many affiliate products as you like, and affiliate to ANY other site (Amazon, John Lewis, anyone). You can even mix up your products with affiliate products or create a special category for affiliate products - up to you. new "customer discovery" facility that records referals which went on to becomes sales. This is a great way to find out how paying customers found your website - and so you can target particular keywords for link building if you're finding certain search engine keywords are leading to more sales than others. It's live since 18th June 2009, so the recording starts from this date. 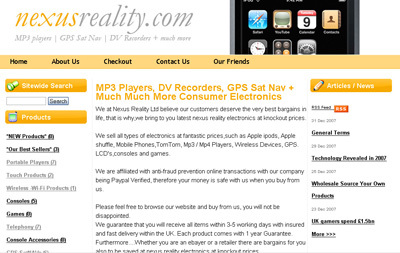 new page that collates all your product reviews and customer feedback. You can link to this page via the main navigation layout (select "product reviews" in page to link to) or when editing pages (you can link to this page easily by selecting "product reviews"). contact form and product enquiry form no longer use CAPTCHA to make the more accessible (they use another method to prevent form spamming). New facility called "Events Calendar". It's similar to the blog/news section except it separates entries into two sections : past and future. Future events are highlighted and promoted, past events are held in an archive. You can also group event entries under one date. 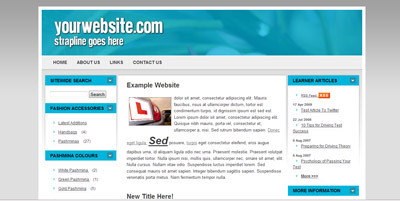 It's suitable for sites running events like pubs, DJs, hotels, businesses running training courses etc. You can alternate between running the blog OR running the events calendar. A simpler backoffice. Now you only see the sections you've activated rather than everything. So if you're not running a forum on your website, you won't see the link to "forum" in the main menu bar. You can still add/remove section in the same way here. An option to show a simpler view for the home page of the backoffice (you can toggle between "simple" and "detailed" view). "Getting Started" section if you're new to the backoffice! You can now send automatic messages ("tweets") to Twitter (if you have an account) whenever you add a new product or article - this is yet another way to get extra visitors to your site as they can be alerted to your new product/article via Twitter. You can enable this in "variables" section. Once enabled, a new option appears whenever you add a new product or article ("Send Tweet About This Product/Article") - checking the box next to this option will then automatically send a "tweet" (a message) to Twitter with the following format : article/product title : article/product URL. Like all extra features, this is entirely optional (and you need to opt in, in "variables" section to enable it). new "Quick Add" facility (for products) which allows you to add products using a much shorter form that shows only the essential fields like product name, description, price, show on site etc. new shipping maximum cost setting - allowing you to set a limit on how much shoppers pay for shipping. For example, if the limit is £8.25, then no matter what they order, they will not pay more than £8.25 in shipping. WYSIWYG (What You See Is What You Get) Page Editor found in Pages/Links (add/edit a general information page to see) using scalable images for reduced bandwidth. If you are using stock control on some of your products, you can now view a list of the products using stock control in one view, ordered by lowest stock levels (so you know quickly what is out of stock, and what is about to go out of stock). You can find this new view in backoffice > shop > stock level report. Quick update: orders are now searchable by product name and also productID. Updated the template so both products and articles can now be indexed by a new puresilva product/article search engine / updates page. This page will launch in the next week or so here (click here) on puresilva.com, and will feature the latest products/articles added by puresilva sites as well as feature a keyword search for the entire product/article range. The latest products / articles page is good for search engine optimization as each new product / article you add will be linked to from puresilva.com automatically (using the title of the product as anchor text). Your site will be crawled once per day automatically and products / articles will be added to this updates page automatically. option to show terms/conditions link on the basket page. You can set you terms/conditions in the Variables section. New service - (in Extra Services) - information on checkrate.co.uk - a service that helps increase sales conversions by awarding you a Confidence Seal if your business has a good credit score. minimum order quantity on a per-product basis. For example, shoppers may need to order a quantity minimum of 5 for a particular product. All products default to 1 as a minimum order quantity. You can set this by adding/editing a product. minimum checkout total (optional). Allows you to set a minimum checkout total; for example, if you set the value at £8.25, then shoppers need to add at least £8.25 worth of items to the basket before payment options become available to them. The minimum checkout total can be set in Backoffice > Variables under Shop Options. New update allows you to easily adjust prices for several items in one go. The facility can be found by going to Shop > Edit Products > Price Adjuster. You can adjust prices by percentage, fixed value or swap a specific price for a new price. Variable VAT rate (prices can be dynamically re-calculated according to any adjustment in VAT in a mouse click). Google Products Submission Service. Our service ensures your products are listed on Google Products 365 days a year (for puresilva website owners only). We've found visitor increases on 3 shops to have increased between 10% and 21% directly from using Google Products. It's a very significant (targeted) traffic channel. Update to previous Google Adsense update! The previous update has been superseded by the following update (since this update makes the previous one redundant):- There's a new option in Backoffice > Variables in the Google Adsense area called "Randomize Google Ad text colours + positioning" - as it suggests, this option will randomize the colouring of your Google Ads and also the positioning of them - giving them extra visibility (without being garish). This should result in greater click through rates (having said that, this option is entirely optional and you need to opt-in to it in Variables). Update to dynamic categories: There's a new facility here:- Backoffice > Shop > Categories > Dynamic Categories. Now you can VERY EASILY add a list of dynamic alternative categories in just seconds, and even decide which order they appear in. 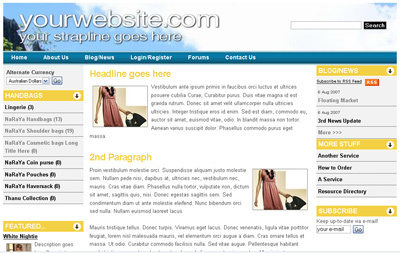 They will appear in a separate location just below your main categories on your website. Why is this useful? Well now you can easily add a list of brand name categories (for example) to augment your main categories. 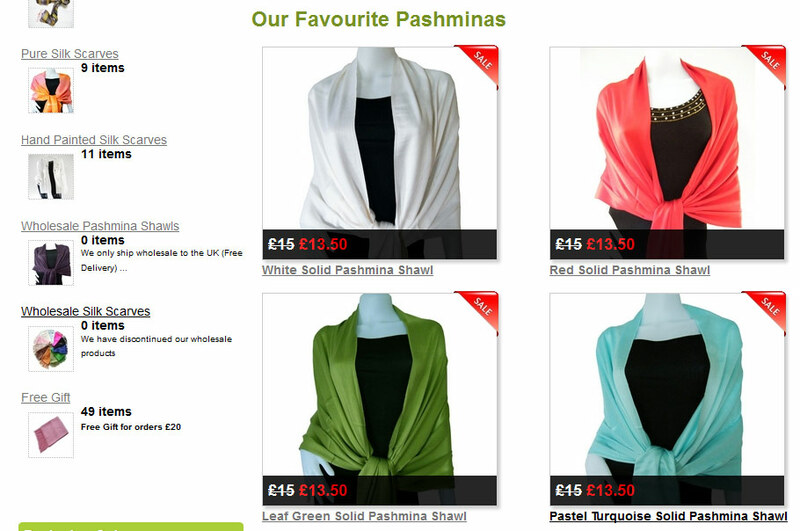 Or you could list sizes, colours etc as an alternative way to browse your product range. This also answers the issue about placing a product in more than one category - now you can! Here's an example of how this works: http://www.lowcostbag.com/ (see handbag colour category range on left-hand column). Further updates to referals. Now you can see which sites have linked to you in the last 30 days (that have clicked through and given a referal!). The link itself creates the dynamic category. In the above example, a dynamic category was created on your site called "White Pashmina " - your site searches for products that refer to "white" and "pashmina" in the product title and/or product description and will list matching items in this dynamic category.You need to make sure this link ends with /K.htm. "Why not checkout our latest paisley pattern clothing range! You can find t-shirts, shirts and ties in this new exciting range." 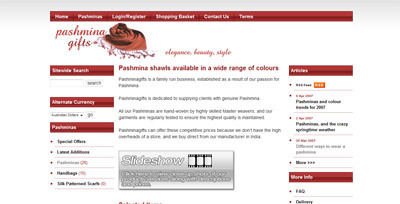 The link creates a dynamic category called "paisley pattern" and matches all products with these words in them and lists them in the dynamic category. Since contextual links (see puresilva article) are very important for seach engines, you can really go wild with this new feature creating dynamic categories via links in your body text. Once search engines follow such links, they will index them so that effectively you've just added a new page to your site called "paisley pattern" that lists paisley pattern products! This is phase one of the development of dynamic categories. In phase two (next update), you will be able to create these dynamic categories in a very user-friendly way and save links that you can easily add to your web pages. General sitemap (listed under "More Info" navigation when cache is next updated). This is automatically generated. Watermarking of product images (entirely optional). Watermarking is where you place a faint watermark (with this feature, your domain name) over an image to prevent other websites using this image (they can still use it, but it's obvious where they've got it from, and so this normally prevents people bothering using your images). To enable watermarking, go to Variables and under "Shop Options" you'll see an option entitled "Enable watermarking option for product images" - check the box next to this option and update. Now add/edit a product an image in the backoffice. After uploading, you will see a new button entitled "Watermark Image" - click this button if you want to watermark the image. It will only watermark the largest image (what your website visitors see when they click "Enlarge Image" on front end of your website). Again, this feature is entirely optional and is switched off by default. Completed rel="nofollow" tagging of links that don't matter - 'more info' links on home page + footer links at bottom of page (home, about us etc). Manual "Add Order" facility in Orders area. This allows you to manually add offline orders to your online accounts, or manually add any order not recorded in the backoffice (e.g. Google Checkout orders which aren't recorded). Manual orders can also be edited (and deleted). Automated email sent to customer when status of order changes (to alert them of status change). For example, if the order status is set to "dispatched" (shipped), the customer is notified by email that the order has been sent. This feature is entirely optional. VAT-excluded prices can now be entered for products (VAT is automatically added after adding/updating the product) - again this is optional, and only is shown as an option if you have stated you are VAT registered in Variables section of the backoffice. Implemented rel="nofollow" tags to links on your site that are no value to search engines (e.g. "more info" links when you have descriptive product links that go to same page). The result means more value is given to the descriptive links which in turn should improve your search engine rankings. More articles/tips on home page of backoffice. These are dynamically linked to the puresilva blog so you will see more of these as new blog entries are added to the blog. Updated link directory so that it's a lot easier to approve other websites adding links to your directory - you will receive the normal email alerting you to the fact that someone has added a link to your directory, but included in this email is now a link you can click on to easily approve the addition. Upon approval, the linking website is sent a notification email. Updated voucher/promotional code facility. New "Loyalty Voucher" code is shown on customer confirmation emails whenever they purchase items (to entice them to buy more again) (Loyalty Voucher feature is entirely optional and needs to be activated). Also printable vouchers entice customers to your physical premises if you have a high-street shop (again, entirely optional and needs to be activated). Updated the resource directory addition page (e.g. see this example page)- now the HTML link code that other sites add to their pages (that links to your website) is a lot more random - it will take either a random category listing page of your website, or a random article (if you don't sell items, it defaults to this). If you don't sell items and have zero articles, it will revert to the title/description of your website you've already described. If THAT is blank (default), the HTML code is your domain name and description is blank. 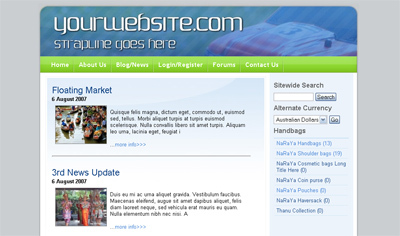 The purpose of this update is to give your site a much more natural link profile. 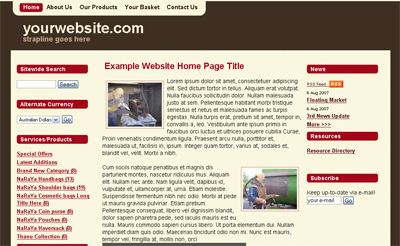 It's a lot better if sites link to various pages on your website and not just the home page. New facility within "News/Articles" allowing you to easily import news from around the web as a means of generating new articles for your own website. This can be used as a means to find topics for articles (recommended) or even simply as a news digest whereby you create articles that simply features news headlines/comments from your chosen news sources. This feature is entirely optional and you can still write articles normally as you have in the past. A much-requested feature now finally released! 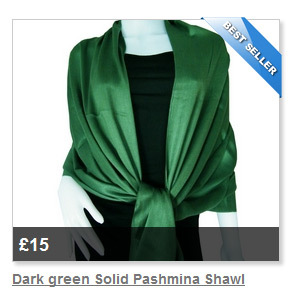 : New "upsell" feature allowing you to sell multiple items together e.g. selling an electric bike with additional front light, back light and battery (these are optional extras to the electric bike). You can also change the prices of these additional items to give shoppers a "deal" if they buy all the items together; this facility means shoppers can buy multiple items in one go, and you can promote extras to any item. It's quite a powerful new facility that can be used in many different ways. More info on upselling can be found in this Wikipedia entry (click here). It is now possible to import products to your puresilva website template via a tab-delimited text file via backoffice > shop > import. 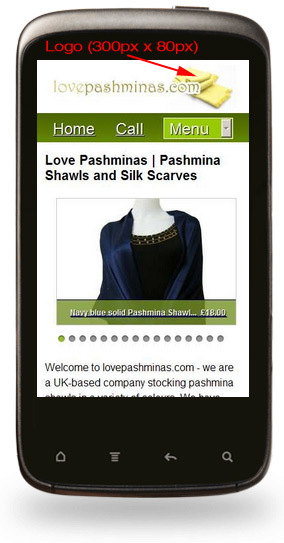 You import an unlimited number of products in one single text file, including images too (as long as you supply image URL for each product), so no need to manually upload image files with this import - up to 4 images per product; particularly useful for people who already own an e-commerce site, but want to port their products to a puresilva website template. You can now hide content pages (Pages/Links) by checking the "Hide Page" checkbox when adding/editing a page - good if you are preparing content but you don't want particular pages to go live yet. You can now present your product categories (if you are selling items) in a new way that shows a thumbnail image of a product that exists in the category as well as part of the category description; this is a great way to present your product range to your visitors, while giving them an idea of what to expect before clicking on a category description. This new feature is entirely optional and needs to be switched on in the Variables section of the backoffice, and checking the box next to "Show Thumbnail Images / Category Description in Category Listings ". It's a good idea to add descriptions to each category (backoffice > shop > categories > main categories) if you are going to use this feature. 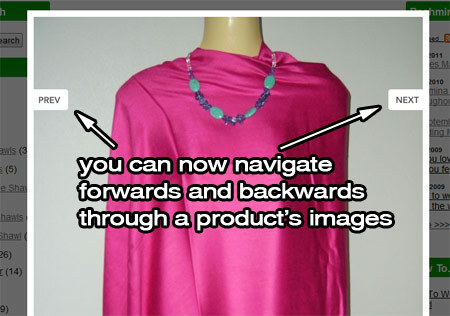 Improved products slideshow - now full size, with product descriptions when you roll over each item. You can see a working demo here.This is a beta version - planned improvements are : ability to select products for the slideshow, categorisation of products within the slideshow, and ability to choose colour scheme for slideshow. For your products, you can now add customised HTML Titles, META Description and META Keywords for each individual item you sell. You can add these on the add/edit product page. Category descriptions; you can now add descriptions to shop categories and these descriptions appear below the category title (on product listings page). "Recommend a friend" facility added - your website visitors can recommend both your articles and products; you need to switch this on in "Variales" under "General Features/Sections/Layout" - check the box next to "Recommend Items/Articles To A Friend"
Updated "Review It!" link on product detail pages - looks better and more uniform with the new "recommend a friend" link too. Added a facility in the backoffice that lets you see your products being viewed RIGHT NOW - you can also see the path your visitors take in terms of browsing your product range. You can see the current activity of the 3 most recent visitors (past/present). The facility uses AJAX technology so there's no need to refresh the page - you will see products appear as they are viewed LIVE on your site by your visitors. You can view this facility via backoffice > shop > stats > current item views. Added "View by Price Range" facility - if you are selling items on your site, you can add price ranges that your shoppers can browse by e.g. show me all items between £5 - £8.25. 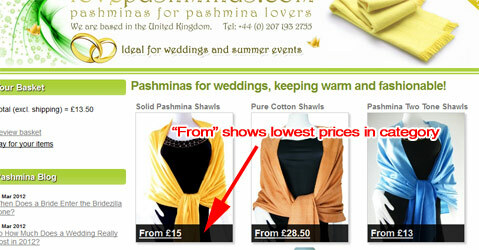 The list of price ranges would be shown below your category list (see image to left). This facility needs to be activated to be used (it is entirely optional). Social bookmarks allow you or any of your website visitors to click on the above link to recommend your article / news item to any one or all of the above social bookmarking websites. 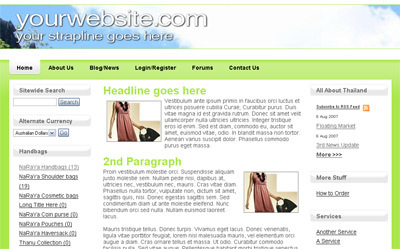 This gives your article exposure to high traffic websites, which in turn bring you extra traffic. The more compelling and interesting your article, the more visitors you will bring to your site from these social bookmarking sites. Added "Latest Additions" link within category products list, along with RSS Feed for all your latest items (if you're selling/showcasing items) - see screenshot below. This lets your regular visitors know about your latest items you've added - they can even know about your latest items without visiting your site (via an RSS Reader). Updated basket page and checkout pages for cheque, BACS, PayPal and Protx - more streamlined process for shoppers. Added "Verify All Links" facility in the Manage Links Directory section. This facility allows you to check ALL of those who have added a link to your link directory making it easier to identify those who have removed a link from your site. Website update : minor bug fixes. Add new stats report - "monthly averages". This tells you month-on-month visitor trends and how much they are increasing/decreasing in relation to the previous month. Also added repeat visitor stats which tells you who returns to your site twice, 3-5 times, 6-10 times, more than 10 times, or everyday in a given date range. Added "priority list facility" for product listings, allowing you a lot more control over the order of your products. You can even automatically place the most sought after products higher up the listings and permanently on the front page (replacing random products). Sought after products are purely determined by the amount of external traffic driven to your website and seeing which product pages they land on. By making these products more prominent, they will receive better rankings in the search engines (as they will be on the front-page of your site / higher up the listings). 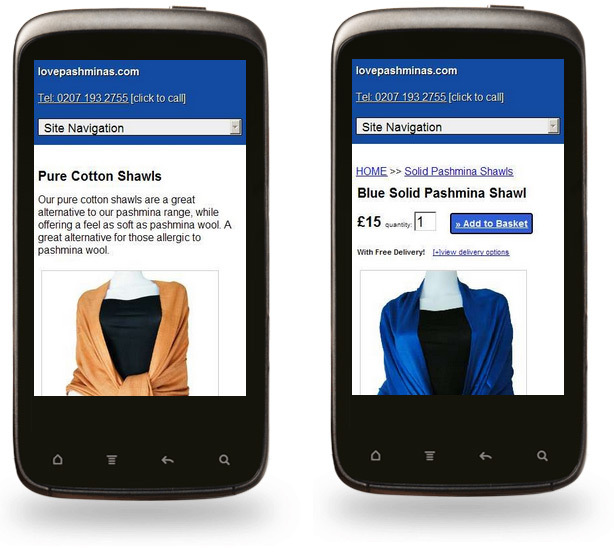 Integrated Google Checkout allowing your shoppers to pay via Google Checkout. You will need to have a Google Checkout account first of all to use this (you can sign-up here). This can be activated via "Variables" section (under Taking Payments). Shopping Portal integration - meanshopper.com is the first of 4 planned shopping portals that will be compatible with your puresilva website. You will be able to export your products from this backoffice to any/all of the portals available for free. "More Info Sections" allows you to categorise your "More Info" pages which are normally situated in either the left or right hand columns of your site. You can add unlimited sections (categories). This is useful if you have quite a large list and want to break it down into meaningful categories. You can easily sort the order of the categories too. In the page editor, just add/edit a page, and you can easily assign a page to a particular section via the Page Type dropdown menu. Updated 'Make an Offer'. You can now reply to the original person making the price offer, with an amended price/quantity. For example, if you sell a product for Â£10, and someone offers Â£8 for it, you can reply back to the person with a counter-offer for Â£9 for the product, or Â£18 for a quantity of 2 (for example). 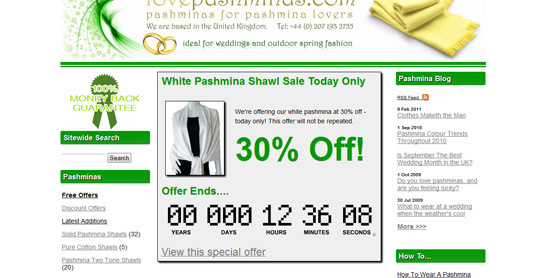 The counter-offer is sent by an automatic email, along with a convenient link to add to the product to the shopping basket at that new offer price/quantity. Added digital downloads. You can now sell digital products (i.e. files) on your site. The shopper buys these digital products in the same way as physical products, and upon verified purchase, they can login and download their purchase.